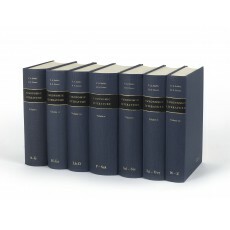 Seven volumes (25 cm), I (A – G, 1976): 1136 pp. II (H – Le, 1979): xviii, 991 pp. III (Lh – O, 1981): xii, 980 pp. IV (P – Sak, 1984): ix, 1214 pp. V (Sal – Ste, 1985): 1066 pp. VI (Sti – Vuy, 1986): 926 pp. VII (W – Z, 1988): lvi, 653 pp. Uniform publisher’s cloth (no dust jackets issued). 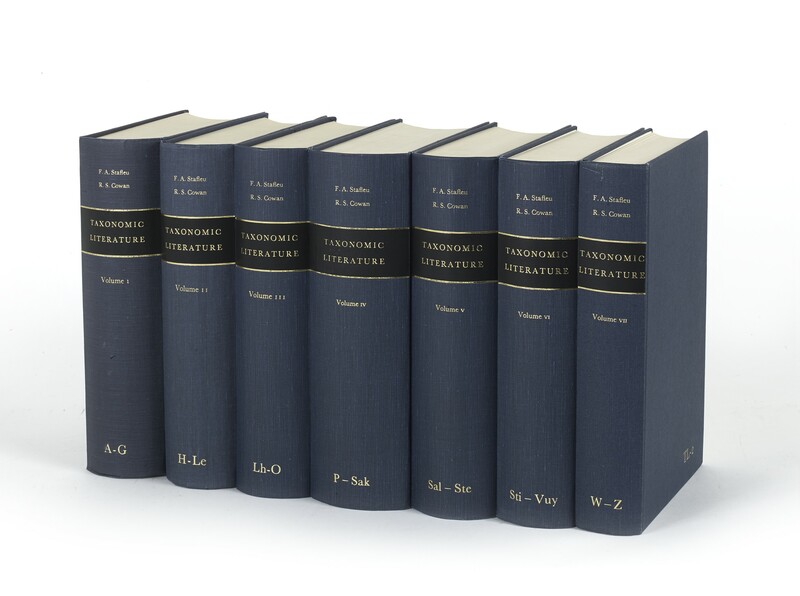 - The basic bibliography for botanical literature (commonly known as TL-2), an indispensable tool for the bibliographical description of botanical books printed before and after Linnaeus’s Species Plantarum (1753). The work is organised by author in alphabetical order; a typical entry contains a brief biographical note followed by a list of publications (in chronological order) including locations of copies. The work is particularly useful for establishing the publication histories of books appearing in parts, or in multiple editions. Stafleu and Cowan compiled the first volume (authors A-G) without external funding and visited a limited number of libraries. After its publication in 1976, funding was obtained from the National Science Foundation, and henceforth the collections of more than 100 libraries were surveyed. To remedy the deficiency of the first volume, Stafleu set to work on a supplement, which eventually extended to eight volumes (published 1992-2009). The supplement is still obtainable from the publisher (vol. 6 in reprint of 2004), Koeltz Scientific Books (€1787; ISBN 9031302244; www.koeltz.com). ¶ Fine set with minimal traces of use and no marks of ownership.